The more ways that members can earn and spend points/miles, the happier they are, says the latest J.D. Power and Associates survey on frequent flyer programs. 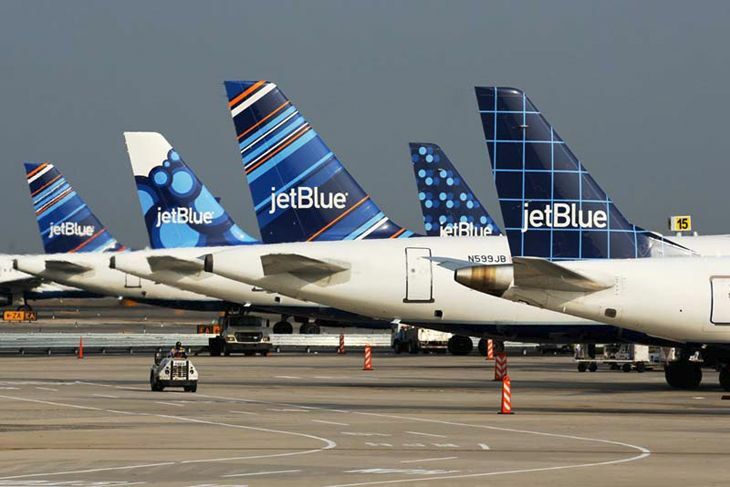 It also ranked JetBlue’s program in the top spot, Delta’s in the middle of the pack, and American’s & United’s nearly tied at the bottom of satisfaction levels. This is somewhat surprising to be because Delta usually takes so much heat for its parsimonious SkyMiles program. Most frequent travelers agree that Delta is probably the best airline, but it has the worst loyalty program due to its stinginess. Maybe this survey shows that that’s changing. On the other hand, United is usually cited as not such a great airline, but that can be overlooked by its relatively generous Mileage Plus program. What do you think? Comments below, please! Anyway, based on the J.D. 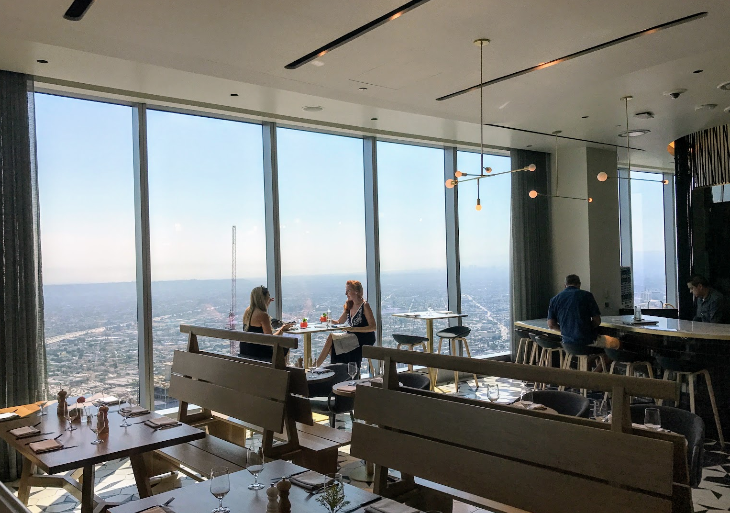 Power 1,000-point satisfaction scale, the 2017 survey determined that the satisfaction level among frequent flyer program members rises most significantly when they can earn rewards in restaurants. They also favor earning points for merchandise for car rentals. Programs that give their members a “lowest price guarantee” earn a big premium in customer satisfaction levels, the company said, while waiver of same-day change fees adds slightly fewer satisfaction points. 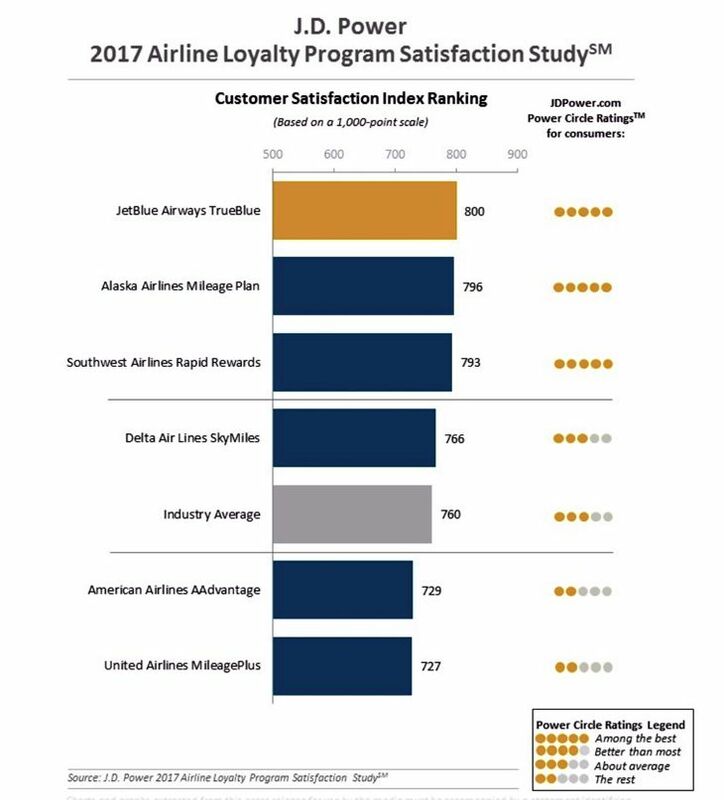 One of the more obvious findings of the survey is that elite-level loyalty members are more satisfied (814 points) with their programs than general members (744). Elite members are also more likely than general members to be “promoters” of their preferred airline brand (59 percent vs. 49 percent). Likewise, members who are offered bonus points/miles show a gain of 52 points in satisfaction levels, but those who have had some problem with their mileage program show a 99-point drop. And the study found that mileage programs can be complicated, with just 52 percent of respondents saying they completely understand the redemption process for their points/miles. The 2017 survey, conducted in September, was based on responses from 3,387 airline loyalty program members.